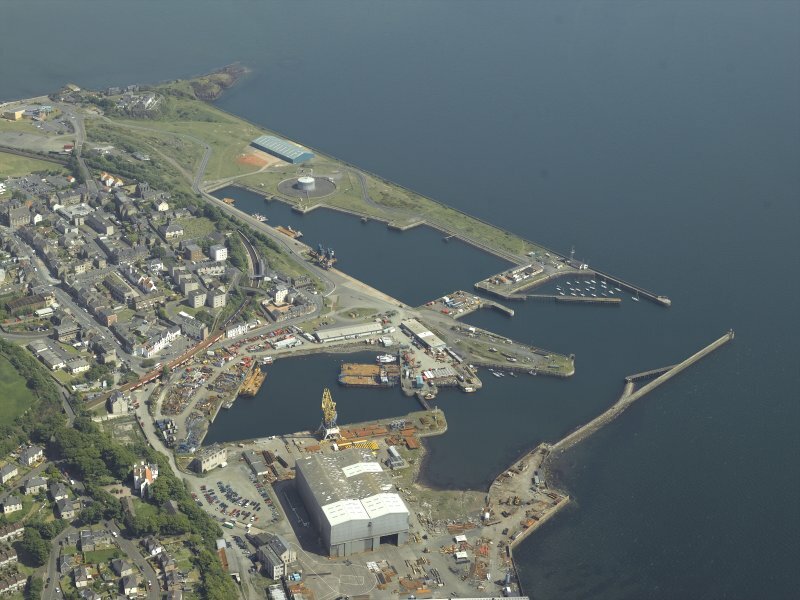 Oblique aerial view centred on Burntisland Harbour, taken from the WNW. 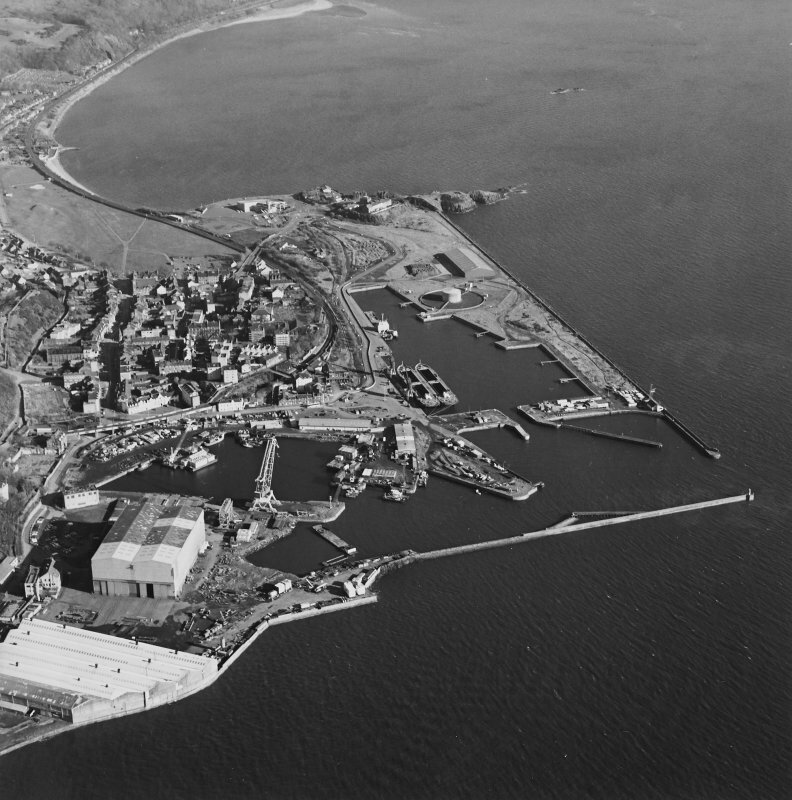 Oblique aerial view centred on Burntisland Harbour, taken from the WSW. 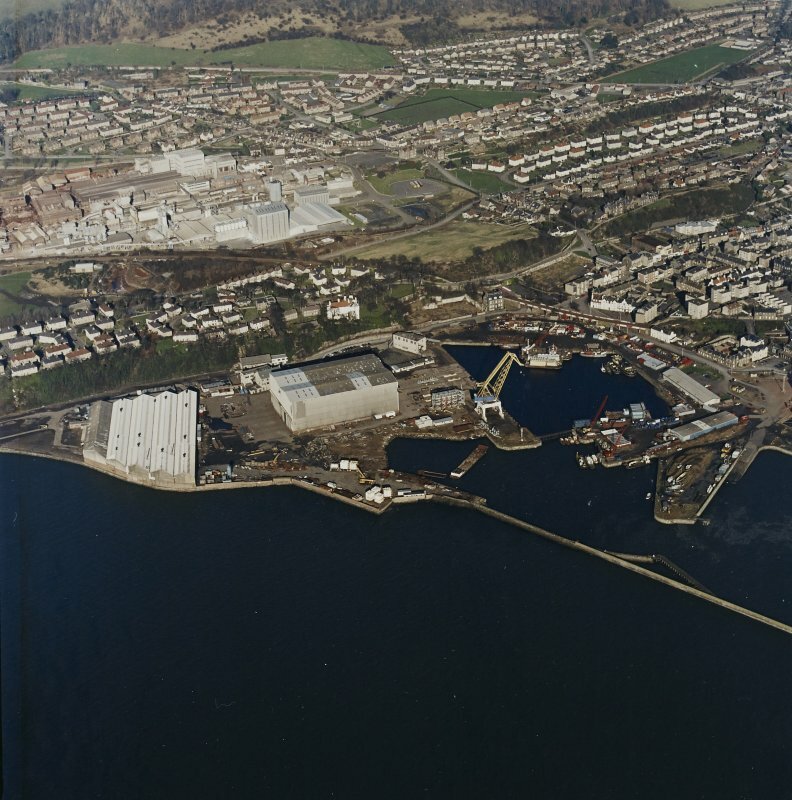 Oblique aerial view centred on Burntisland Harbour, taken from the SW.
Oblique aerial view of the harbour centred on the dock and engine house, taken from the S.
Oblique aerial view centred on the Alumina Works, taken from the SSW. 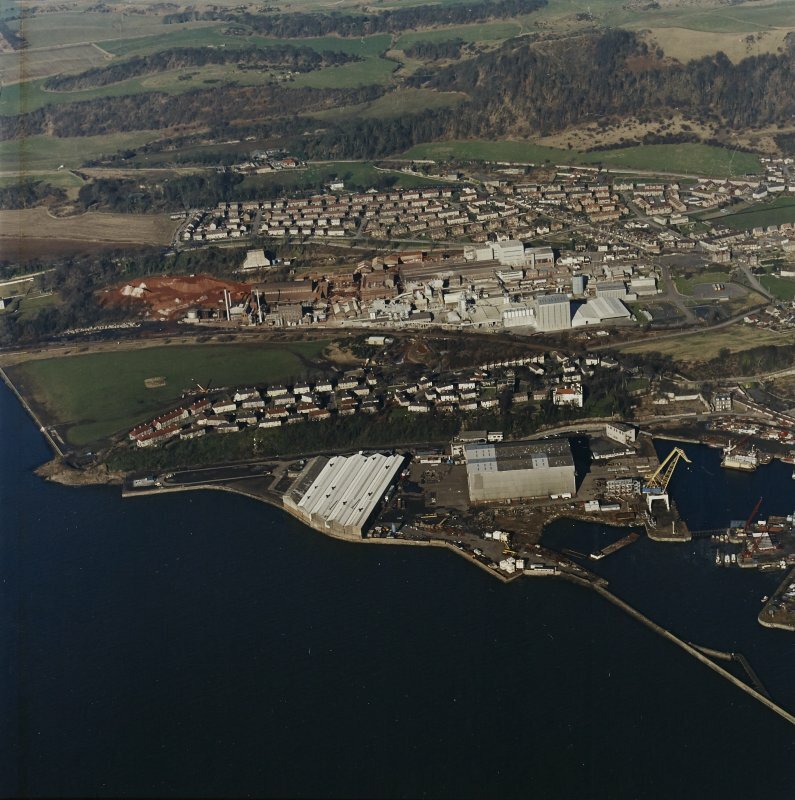 Oblique aerial view centred on the Alumina Works, taken from the NW. 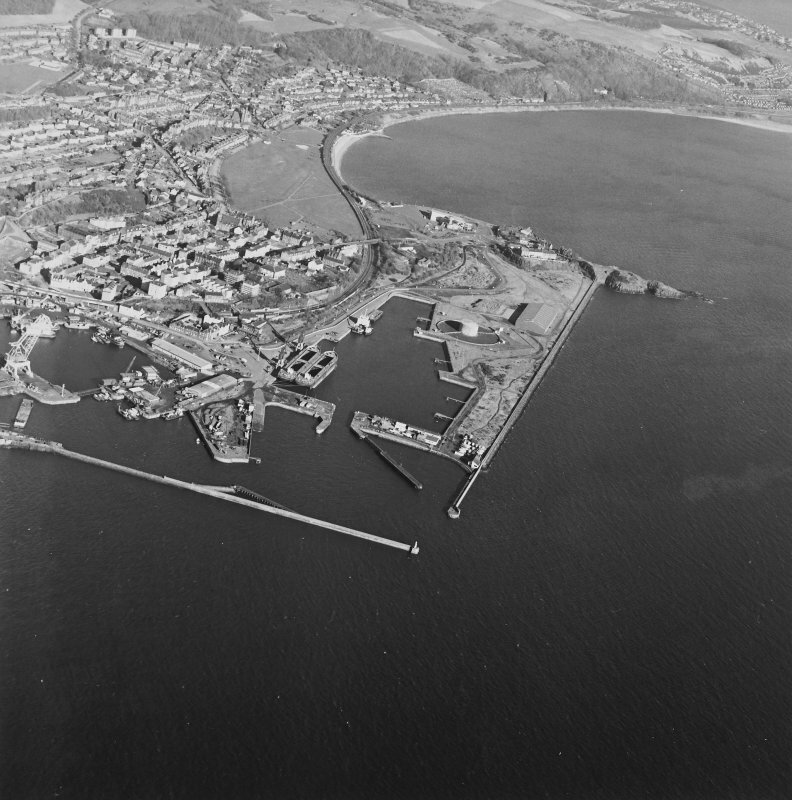 Burntisland, general view, showing Burntisland Harbour and Docks. Oblique aerial photograph taken facing south-east. 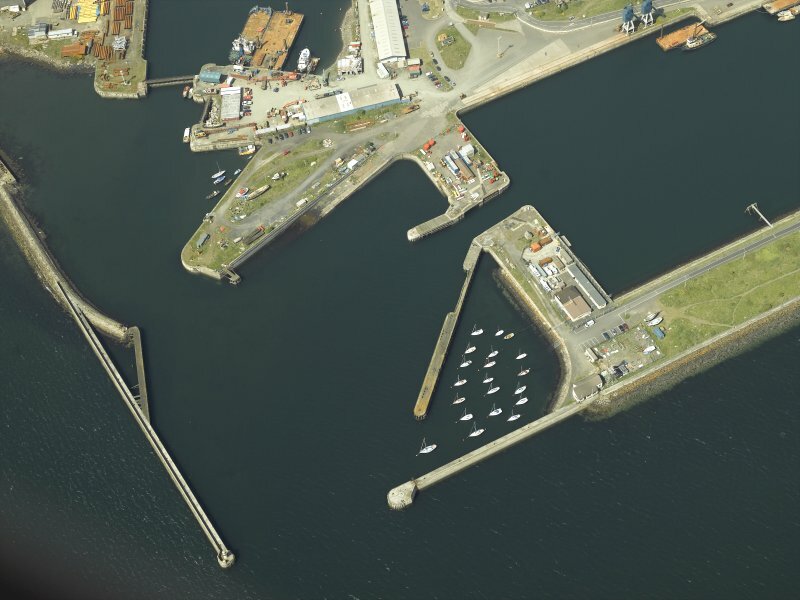 Oblique aerial view centred on the harbour, taken from the ESE. 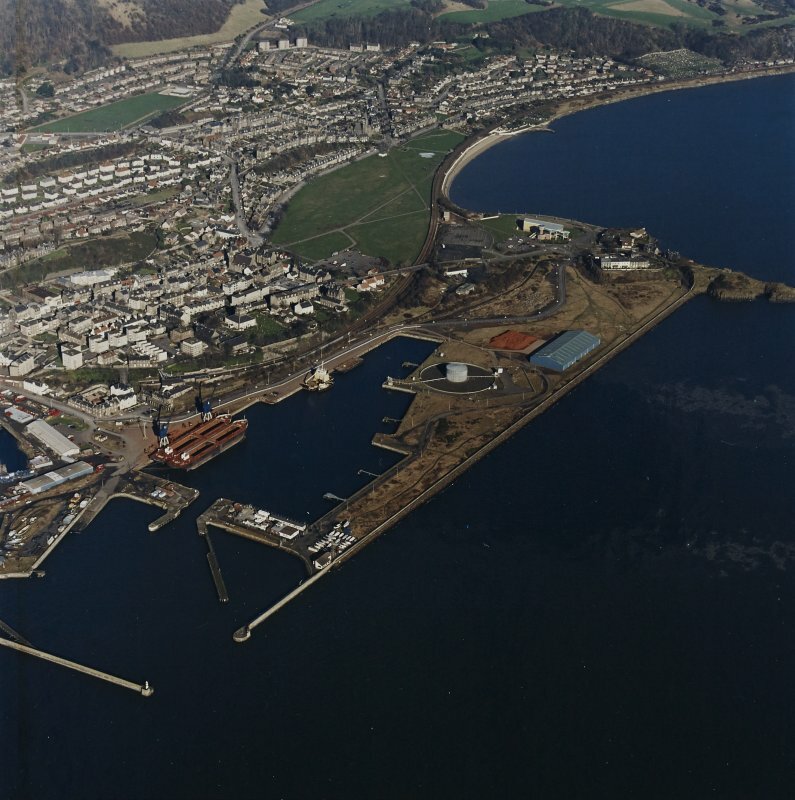 Oblique aerial view centred on Burntisland Harbour, taken from the SSW. 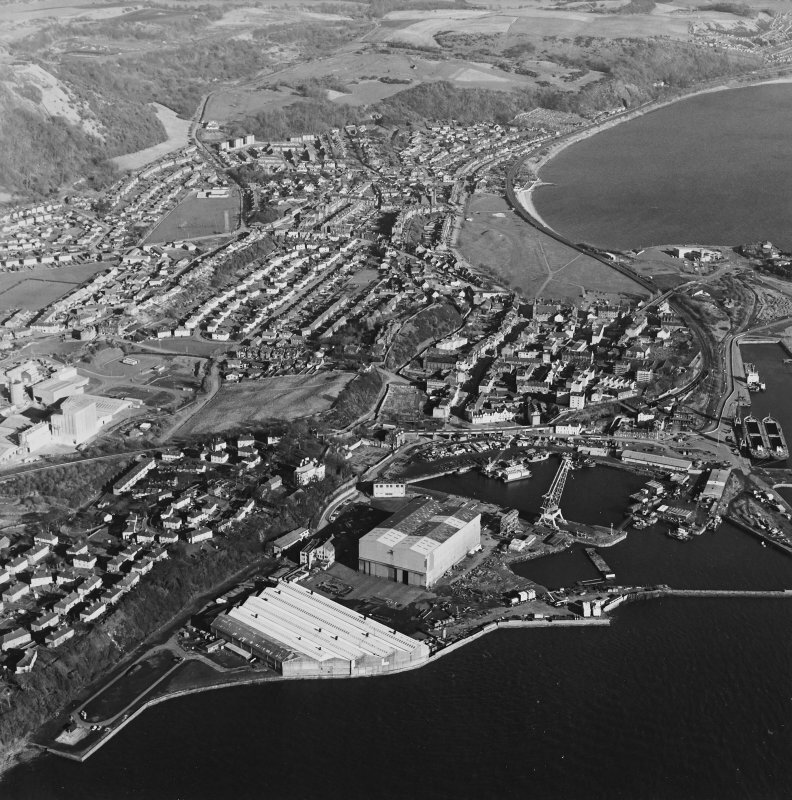 Oblique aerial view centred on Burntisland Harbour, taken from the NW. 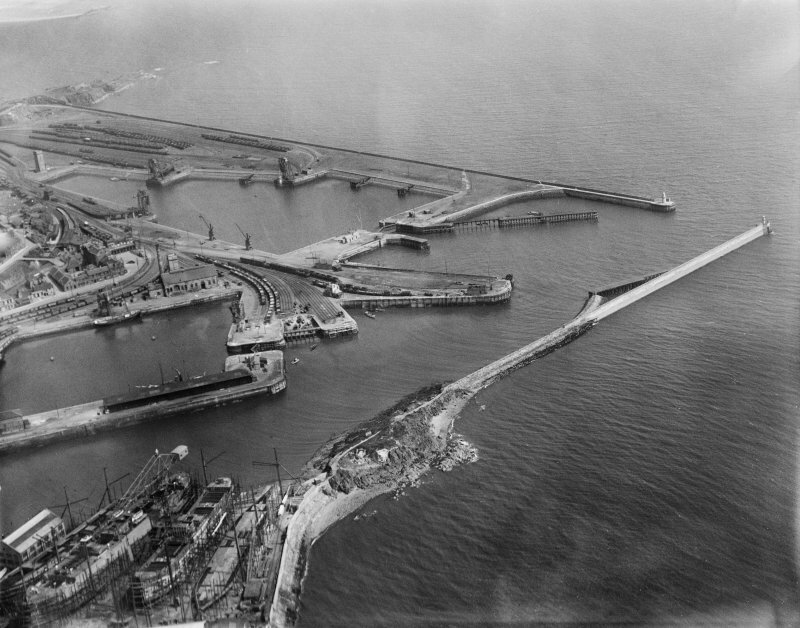 General oblique aerial view centred on the harbour, taken from the WSW. 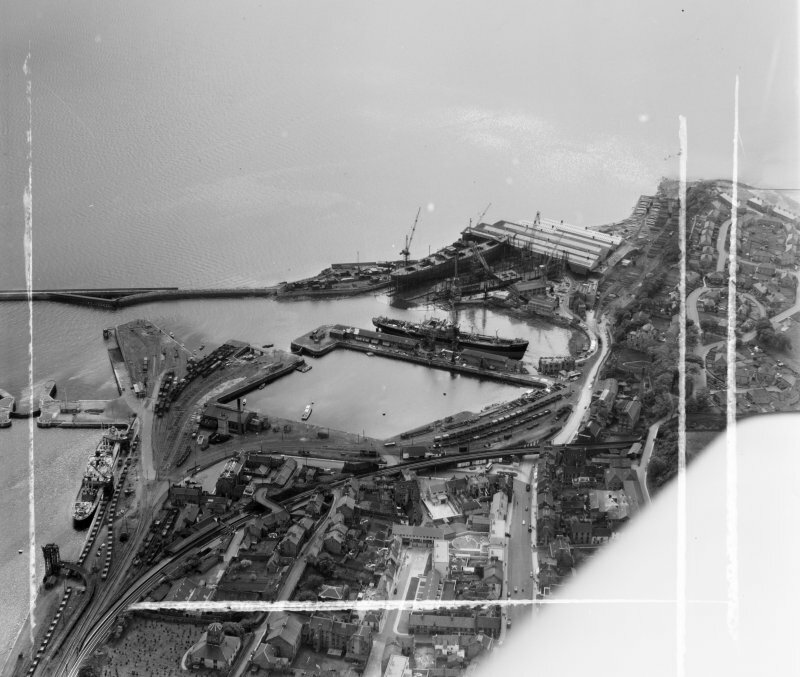 General oblique aerial view centred on the harbour, taken from the W.
Oblique aerial view centred on the harbour, taken from the SE. 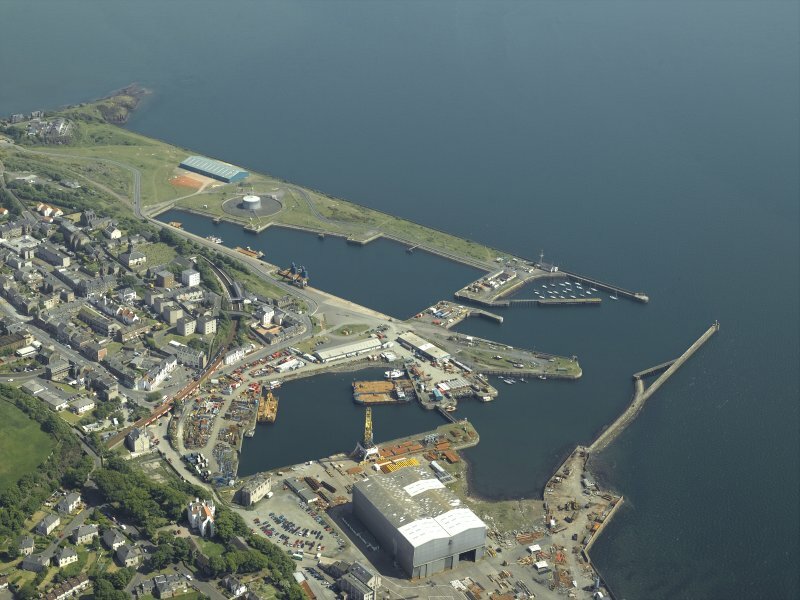 General oblique aerial view centred on the harbour, taken from the WNW. 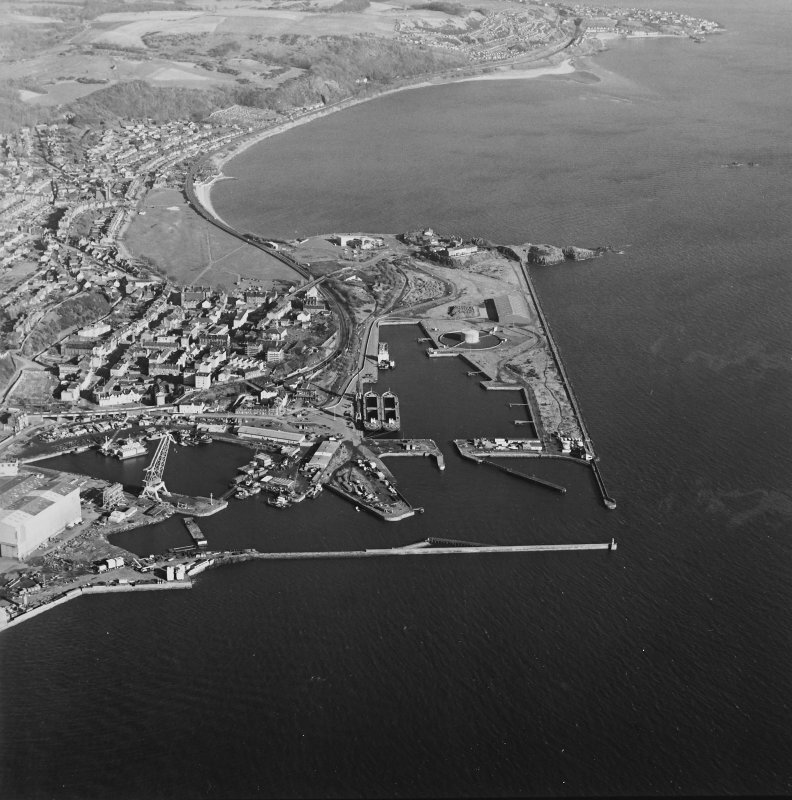 Oblique aerial view of the harbour centred on the outer harbour and breakwaters, taken from the S.
Burntisland Docks Burntisland, Fife, Scotland. Oblique aerial photograph taken facing West. This image was marked by AeroPictorial Ltd for photo editing. General View Burntisland, Fife, Scotland. Oblique aerial photograph taken facing North/East. This image was marked by AeroPictorial Ltd for photo editing. General View Burntisland, Fife, Scotland. Oblique aerial photograph taken facing North. This image was marked by AeroPictorial Ltd for photo editing. For Cromwellian artillery fortification (East Head Fort) at NT 2306 8548, see NT28NW 29. Not to be confused with the 'old pier' at the 'Bath House' (NT 2410 8621), for which see NT28NW 65. For (former, adjacent) aluminium preparation plant (NT 226 862 to NT 229 862), see NT28NW 165. 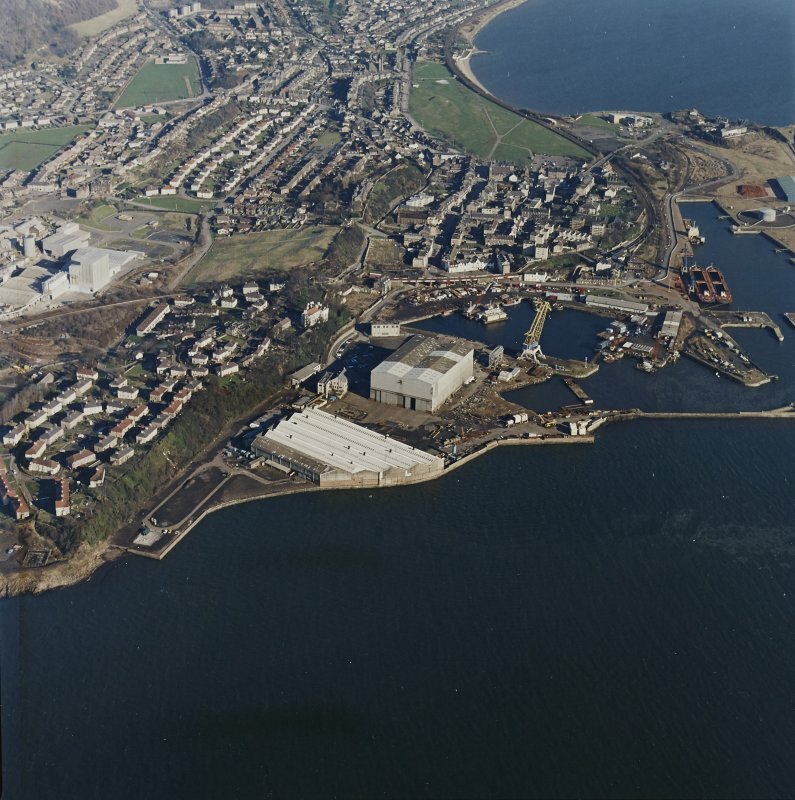 For Granton Harbour (centred NT 23747 77701), the southern terminus of the Granton-Burntisland railway (train) ferry service, see NT27NW 28.00. (Centred: NT 2295 8560) On a plan of Burntisland, dated about 1745, the harbour is shown occupying the same area as the Inner Harbour and the West Dock of the present harbour. 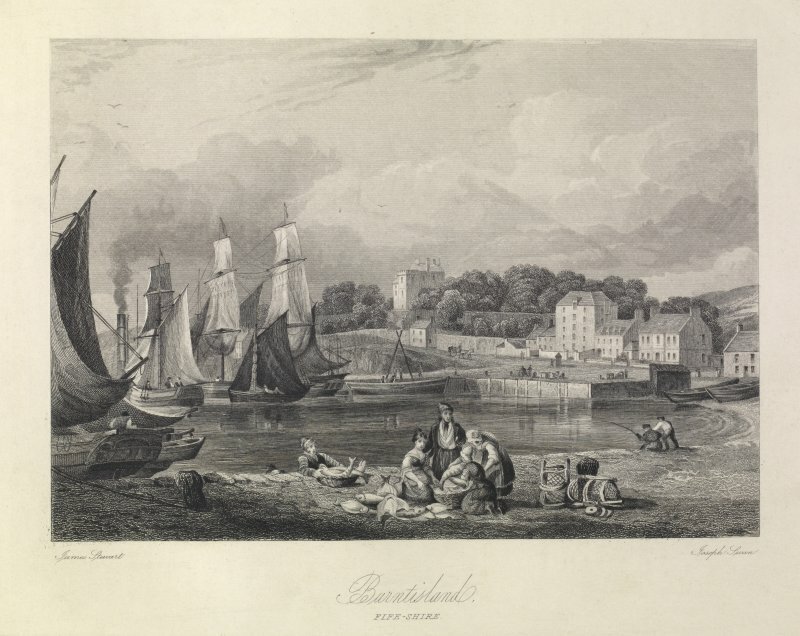 Information from J Elphinstone's Plan of Burntisland, scale 12 1/2 inches to 1 mile. Harbour, formerly Portus Cratiae. Agricola found it 'the most commodious haven upon the north coast of the Forth'. At the time of the Charter of 1585 the harbour was being built and repaired and it is said to have been repaired again by Oliver Cromwell. 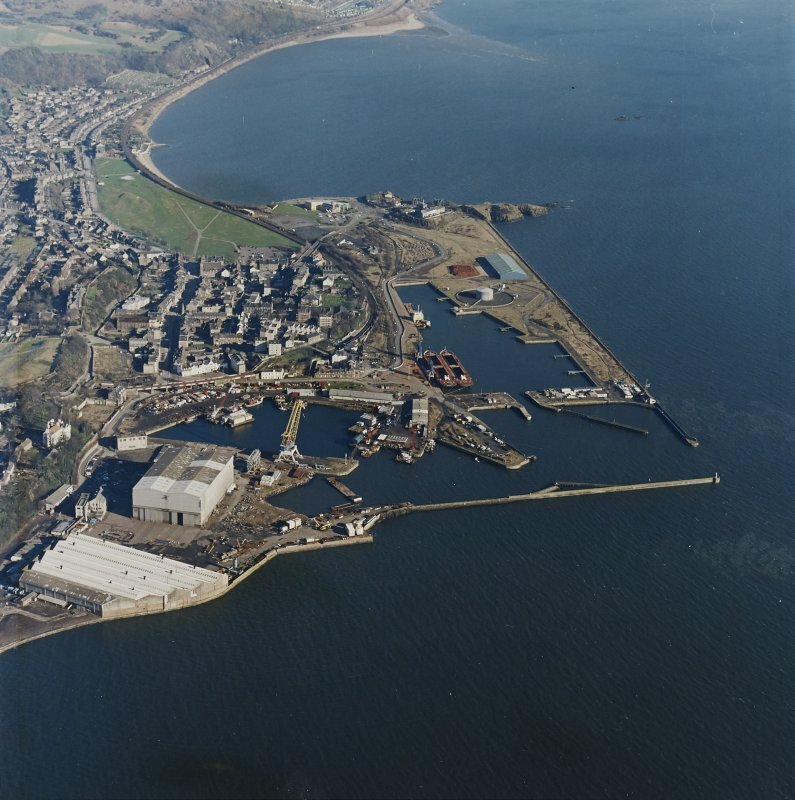 Burntisland harbour originally consisted of a basin protected by an island, and was described in 1703 as the 'best, largest and safest in the Forth'. 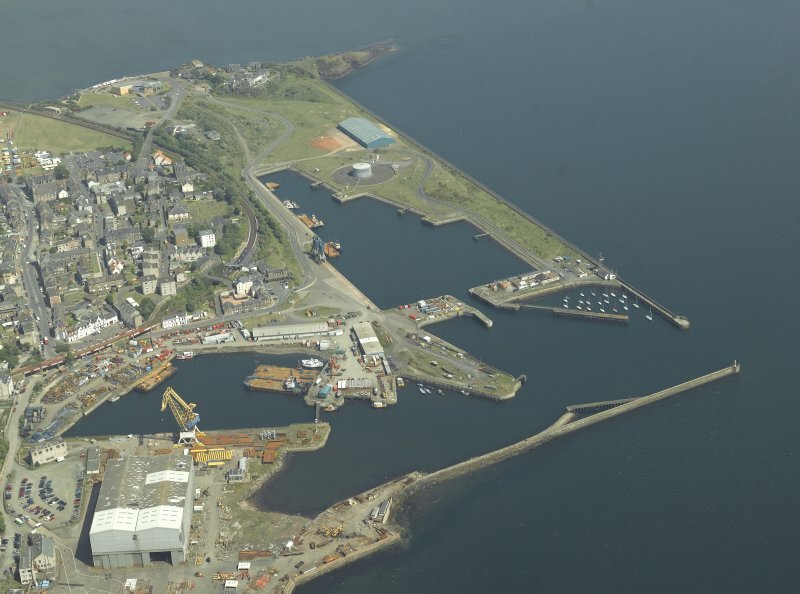 It has a long history and served as the N terminal of a ferry across the Firth which ran at successive periods from Leith (NT27NE 57.00), Newhaven (NT27NE 76.00) and Granton (NT27NW 28.00). Today, however, nothing survives of archaeological interest, although the general outline of the place can be read into the modern layout. Thus, the quay on the W side of the Inner Harbour evidently conforms with the so-called 'Cromwell's Dyke' (NT28NW 30.02), while the street frontage N and NE of the dock as far as the SE end of Harbour Place (all of which is marked as 'Shore' in Wood's Town Atlas) represents the extent of the basin in these directions, but no structural remains may be identified in either locality as dating from before the middle of the 19th century. 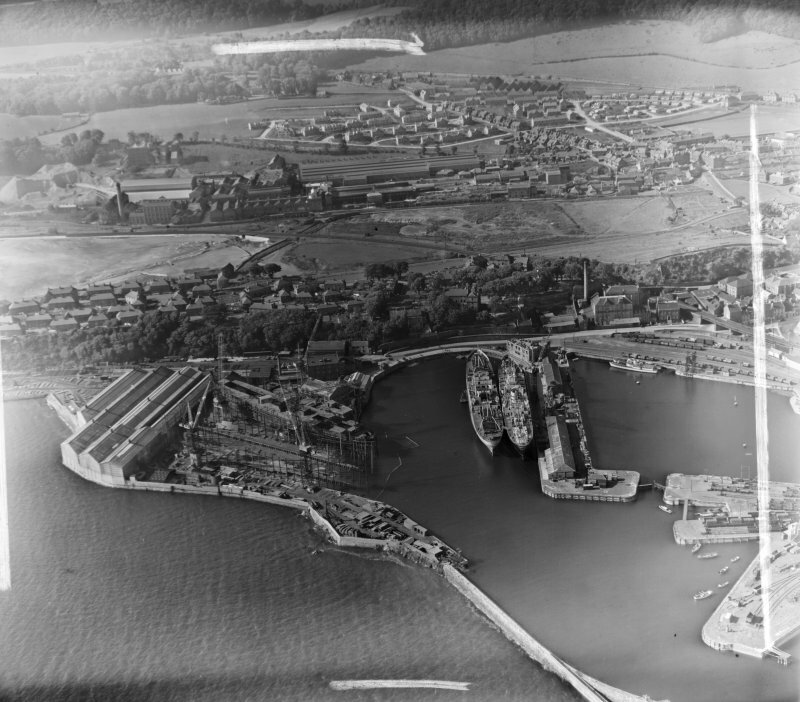 'Cromwell's Dyke' is now masked by a shipbuilding yard and made ground, while the island (together with the piers that formed the harbour entrance) has been disguised by modern construction. The 'Shore' has made ground in front of it and the 'Herring Craig' has vanished from what is now the inner dock. 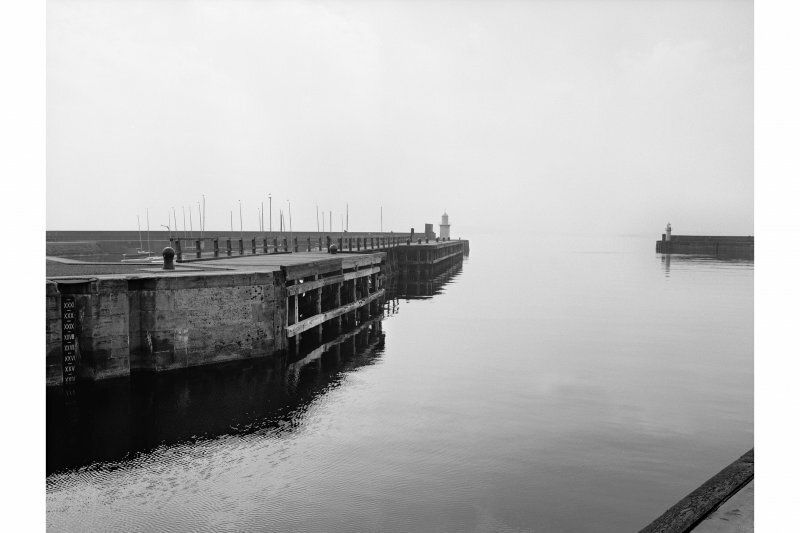 The former ferry-pier, as it stood in 1895, has disappeared, its site being covered by the dock that opens to the NE out of the outer harbour; the existing ferry-slip dates from after 1895. The course of these changes may be followed by comparing Wood's plan of 1824, the 6-inch OS map surveyed in 1854, the 25-inch OS map surveyed in 1895, and OS plan NT2285-2385. 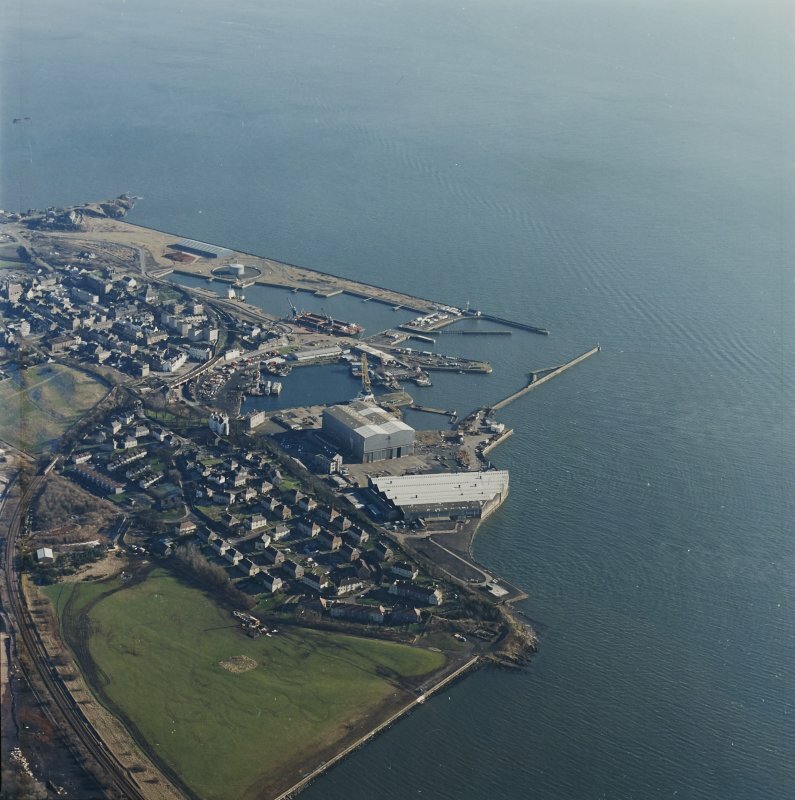 This 19th-century dock and harbour complex was formerly the northern terminus of the train ferry service from Granton (NT27NW 28.00). It occupies the sites of the 16th century harbour and 17th century 'Cromwell's Dyke'. Built 1876-1902 for coal exporting. 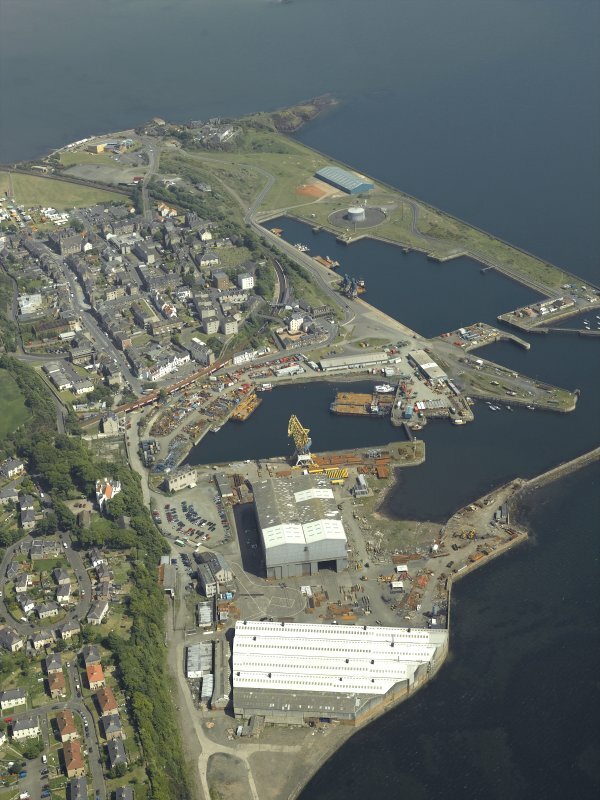 A large harbour consisting of two wet docks and a tidal basin, into which the Burntisland shipyard launches. Interesting features incluse a wooden-jib post-crane and the former waiting room for the ferry from Granton, Edinburgh (NT27NW 28.00). 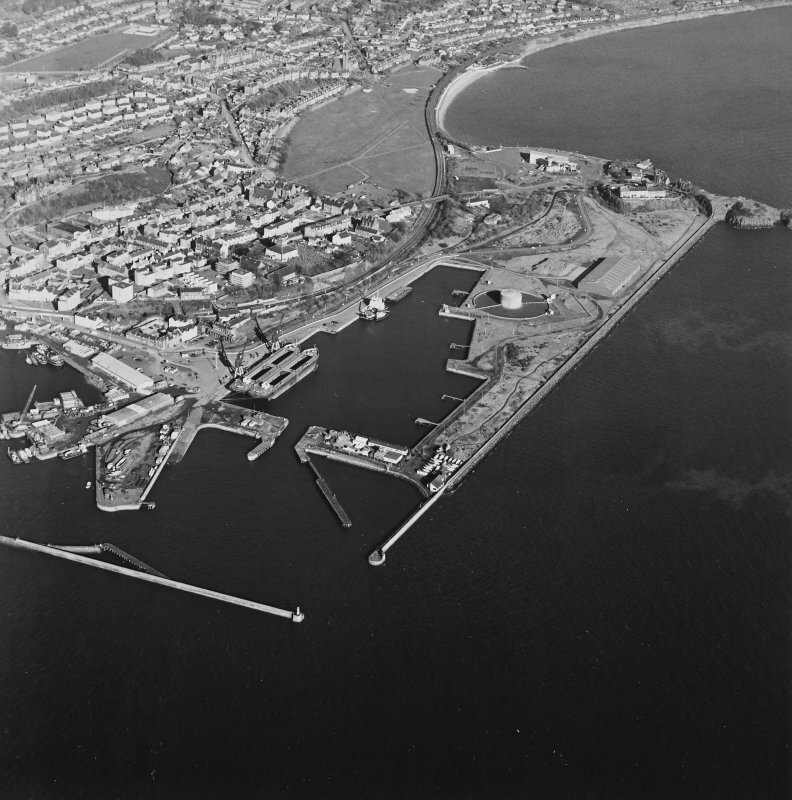 The Forth Ports Authority (FPA) was formed in 1968 to control the ports of Leith (NT27NE 57), Grangemouth (NS98SW 7), Burntisland (NT28NW 30), Methil (NT39NE 11), Kirkcaldy (NT29SE 44) and Granton (NT27NW 28), from headquarters at Leith. Between 1968 and 1983 over £40 million was spent on facilities. 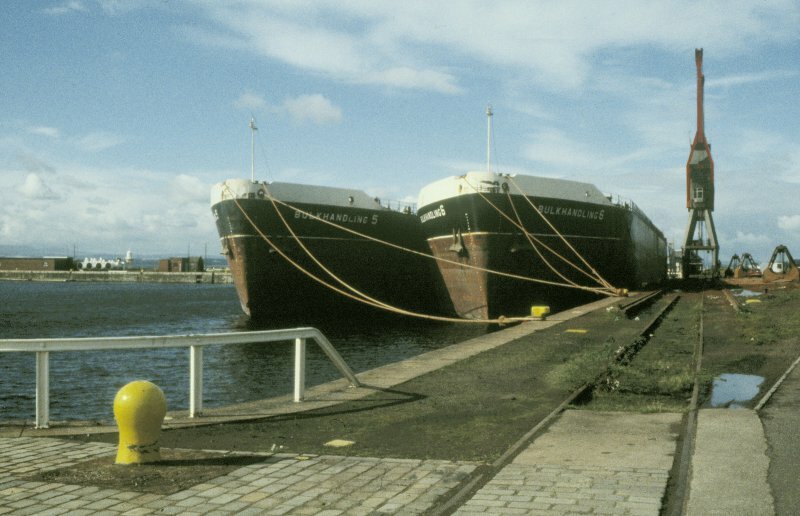 In 1982 over 27.5 million tonnes of cargo (of varied types) passed through the Firth of Forth. The FPA also controls the Forth Navigation Service, and is the pilotage authority. 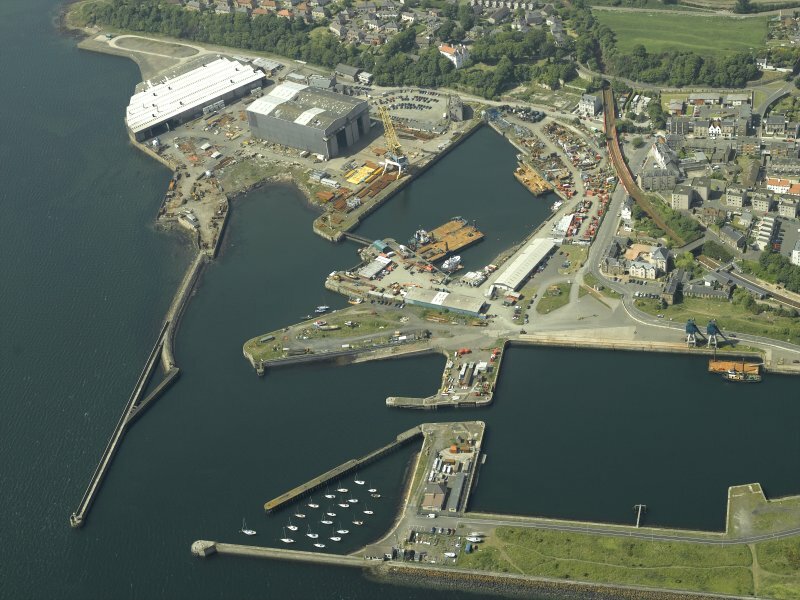 The FPA fleet provides towage at Leith, Granton and the Forth ports. 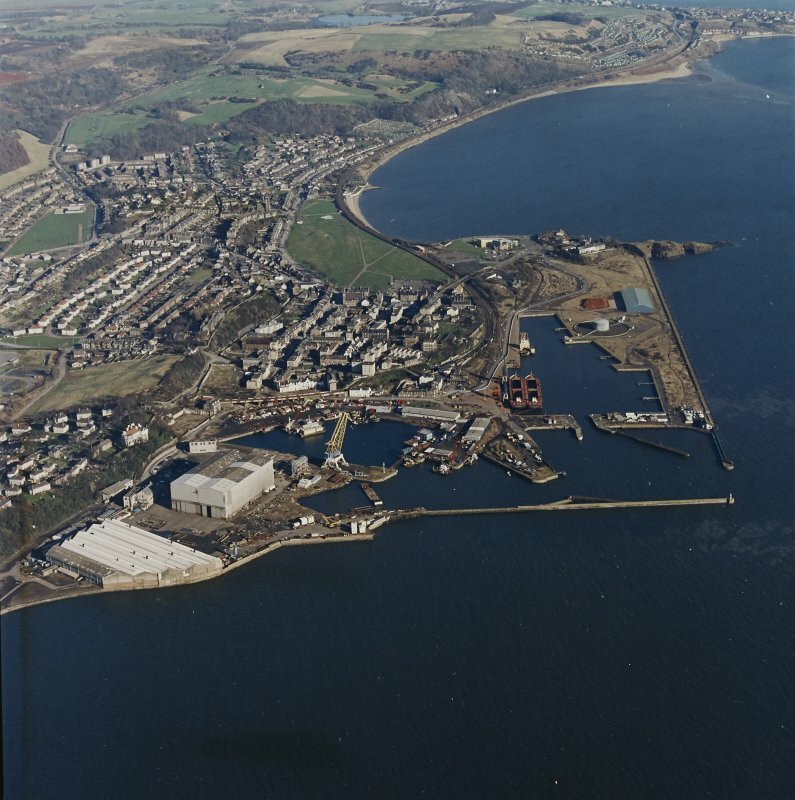 Situated on the South shore of Fife, the impounded Burntisland docks are chiefly important for the import of bauxite for the adjacent British Alcan alumina plant (NT28NW 165). To allow the discharge of larger vessels than was previously the case, bauxite is discharged over the sides of anchored ships into purpose-built barges of 8000t capacity, which are brought into the harbour to be unloaded by grab. Loads of up to 33,000t are handled from vessels of up to 38,000 dwt. Other commodities handled include caustic soda (imported) and alumina (exported). Access: half-tidal entrance 18.2m wide. The gates are normally opened between 3hrs before HW and HW. Area: total water 13.7ha, total land 15.0ha. East Dock: water area 4.6 ha, quayage 443m. (No transit sheds). 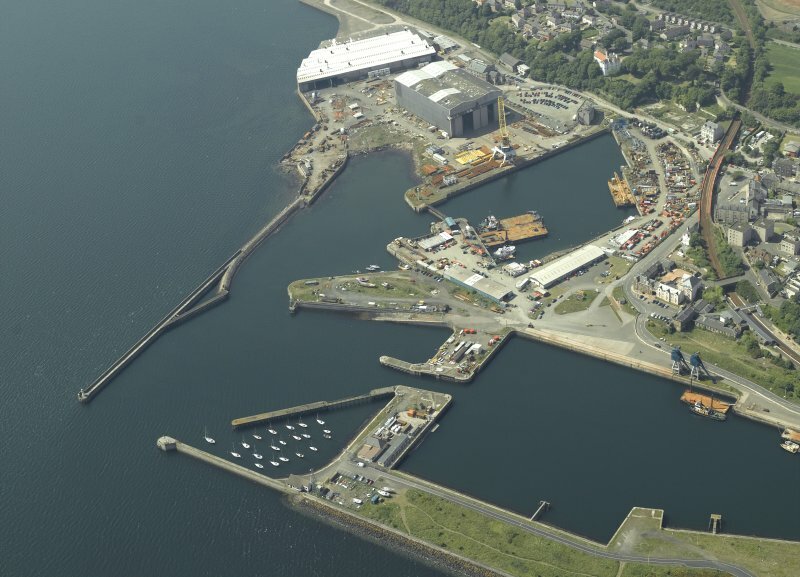 The West Dock is leased to other port users, and a considerable area of land is available for industrial or oil-related development. 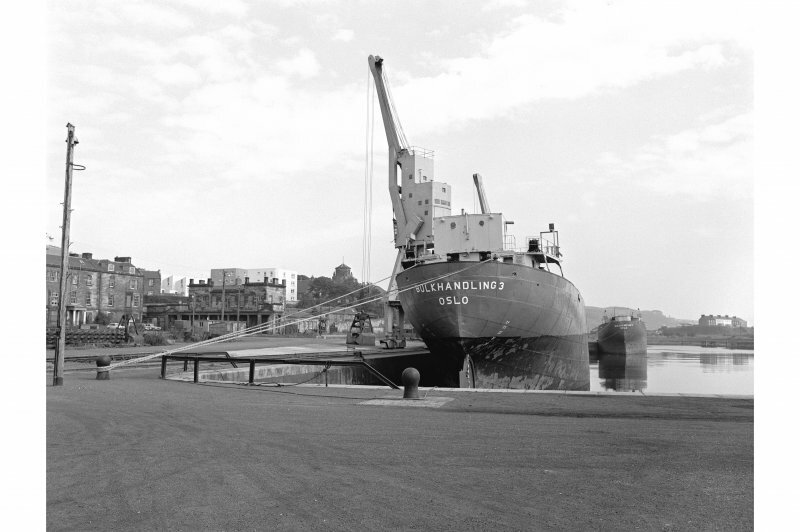 Total cargo handled in 1982 was 254,414t (244,062t inwards, and 10,352t outwards). 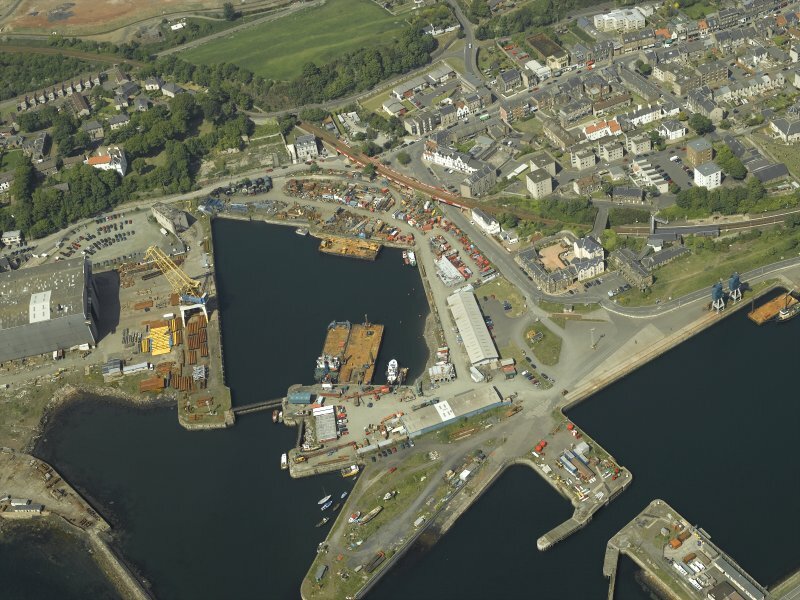 Following the closure of the adjacent alumina plant, this harbour is primatily used as a base for vessels engaged in marine construction works (including buoy-laying). It is also a base for recreational diving, and sees limited naval use, largely in connection with the adjacent degaussing range. 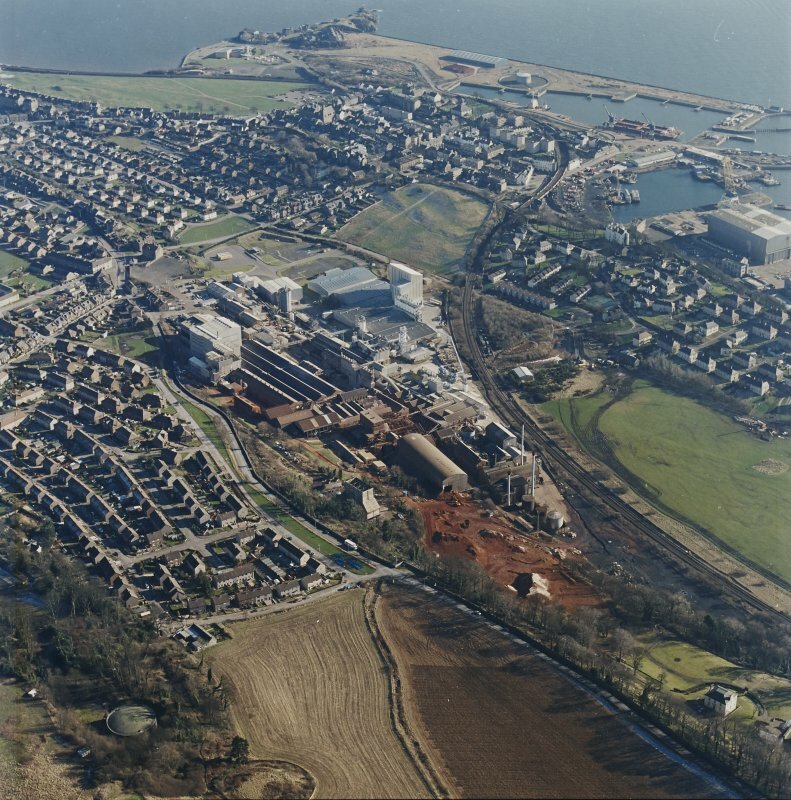 Information from RCAHMS (RJCM), 3 May 2006. 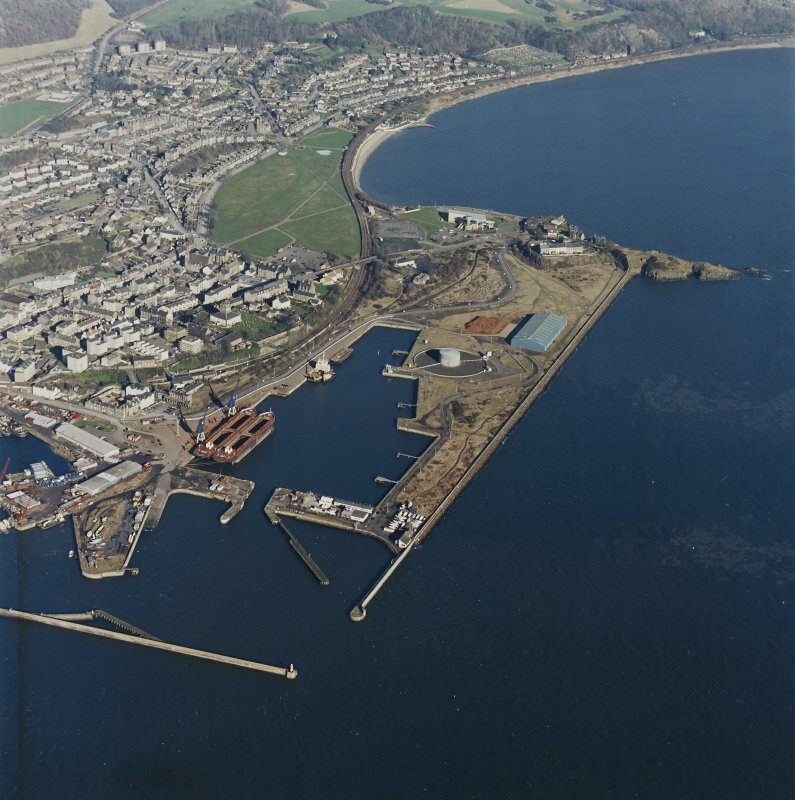 Burntisland, the best natural harbour on the Forth estuary, was known in ancient times as Portus Gratiae. In ca.1540 James V caused a bulwarks and piers to be constructed within it. The west quay was reputed to have been built by Cromwell and developments continued into the 19th century with shipbuilding and herring and whale fisheries. By 1836 Farnie’s dry dock, 200 ft long with a 44 ft wide gate, existed. Nothing of the early harbour now exists. 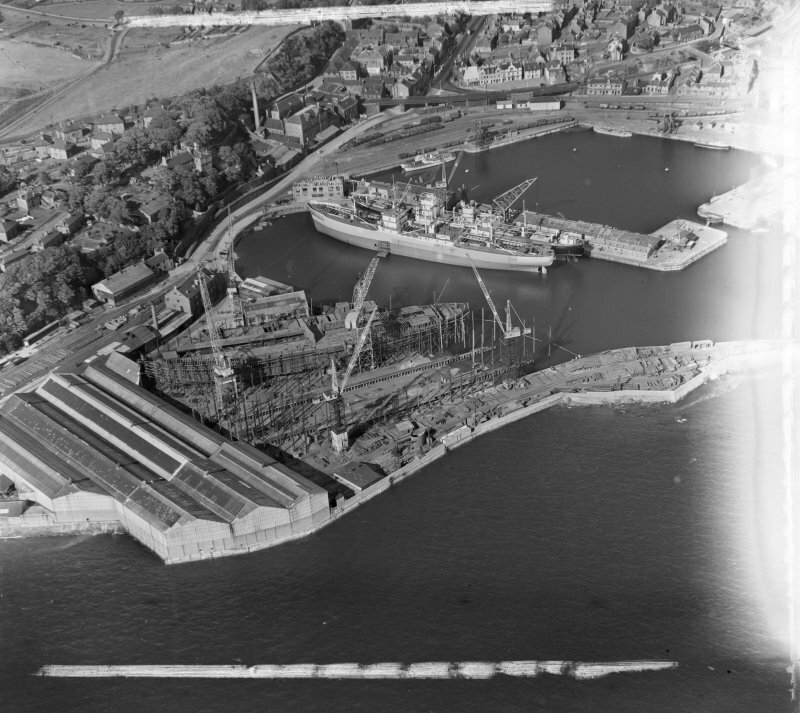 In 1876 the West Dock was opened and continued in use until 1962 when its entrance was widened to 80 ft and new gates were fitted. 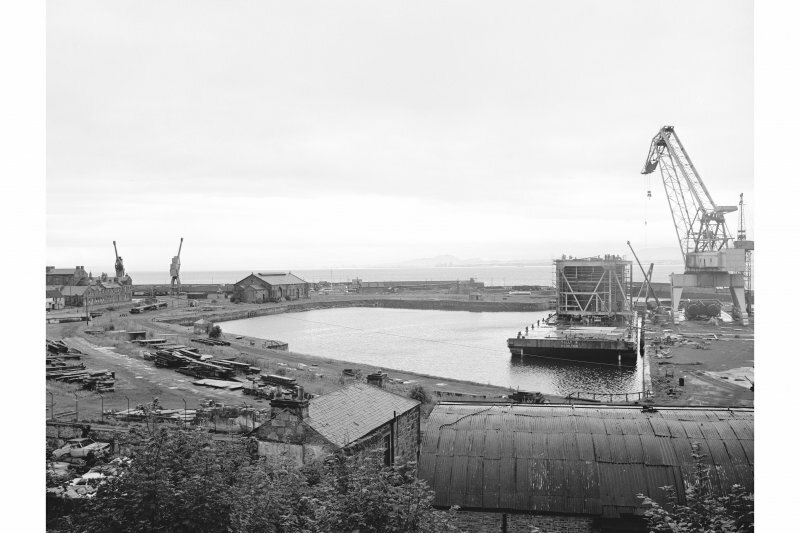 Burntisland also exported coal in large quantities, mainly through the larger East Dock, which was opened in 1903. 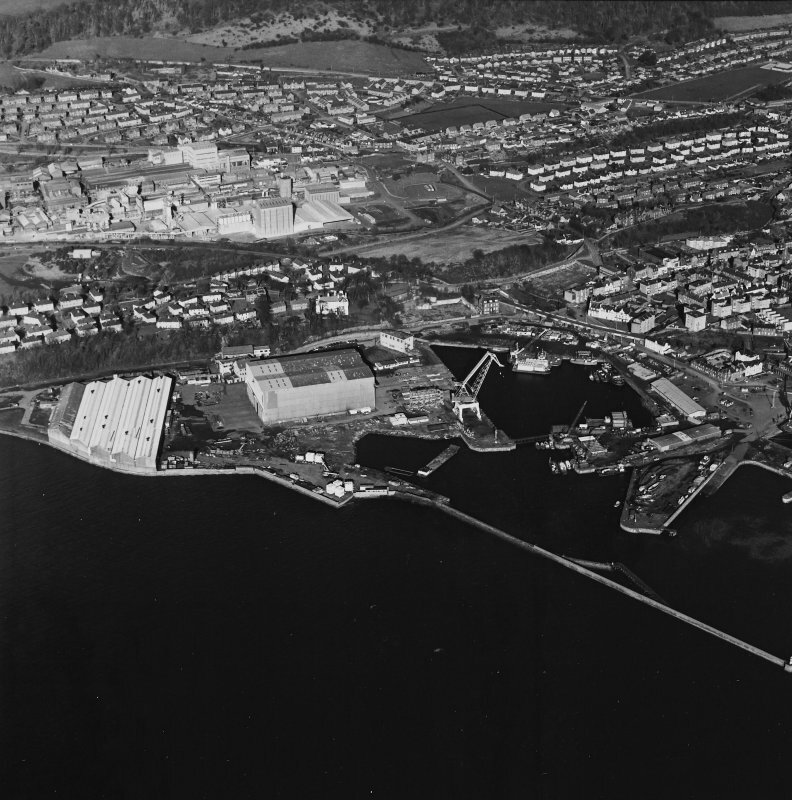 A new industry began in 1917 when the British Aluminium Company opened a new plant for the processing of imported bauxite ore from West Africa, now demolished. Today the harbour is operated privately by the Burntisland Shipbuilding Company, who have modernised it for use on oil industry projects and shipbuilding.In 1850 the harbour had the distinction of being the Fife terminal of the world’s first public train ferry from Granton designed by Thomas Grainger, but with an ingenious loading mechanism accommodating the state of the tide designed by Thomas Bouch. The Leviathan ferry-boat, built by Robert Napier & Sons on the Clyde, was used only for goods wagons except on its opening day when it transported a railway carriage with passengers. In 1862 the North British Railway took over the ferry from the Edinburgh, Perth & Dundee. The ferry continued in use until the opening of the Forth Bridge in 1890.